This post is a little late in getting up. It’s March, and these were taken before Valentines day this past February. I wanted to experiment with another on location lighting trick. 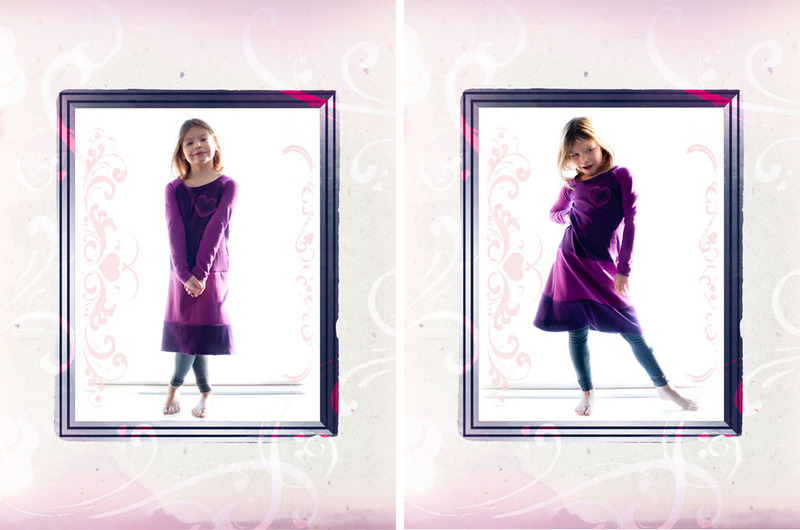 These white background pictures were not taken in a studio, but in front of a window with all natural light. Not even a reflector was used. I did have to put a little digital light painting in post so that their faces weren’t too dark. I was happy with the result. They were shot heavily back-lit against a window, which is generally a no no, but I greatly overexposed the images which made the windows go almost white. Some of the edges of the girls are blown out, but I think it went well with the type of look I was going for. 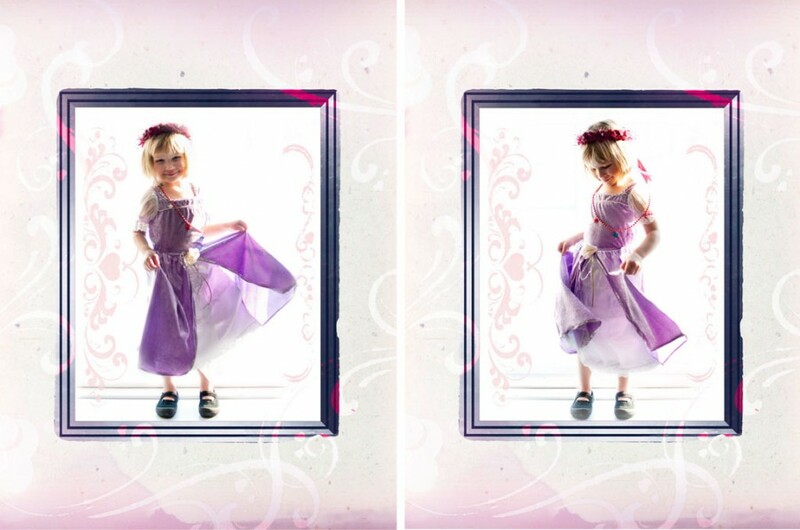 I inserted them into a digital frame, then matched the color from their clothes, and we have a purple fairy princess for Valentines Day. I love this idea! Such beautiful girls too!